Justin Bieber continues to prove he is the best "Boyfriend" around. The pop star treated his girlfriend of over a year, Selena Gomez, to a romantic picnic in the park. The teen superstars decided to go for a low-key date, picking up Subway sandwiches and cuddling on a secluded hill in Los Angeles' Griffith Park. This isn't the first time thethe teen superstars' dates have made headlines. Last year, Bieber rented out Staples Center for a private viewing of "Titanic." Recently, Bieber revealed his secrets to a successful relationship. "To be a great boyfriend, you just have to have patience," Bieber told E! News. "You're always wrong when it comes to girls, you're always wrong, so just say sorry when things are rough." Last week, the pair appeared at the Kids' Choice Awards, where Bieber got slimed after winning the Favorite Male Singer award. Yet, Bieber and Gomez haven't been able to spend too much time together lately, due to their hectic schedules. Gomez recently returned from St. Petersburg, Florida, where she was busy filming her latest flick, "Spring Breakers," starring James Franco and Vanessa Hudgens. As for Bieber, he has been hard at work on his next album, Believe, and is enjoying the success of his latest single, "Boyfriend," which sold an impressive 520,000 downloads in its first week, making it the #2 most-downloaded first-week single. On Tuesday, Bieber treated his fans to another brief teaser of the "Boyfriend" video. In the clip, fans can see Bieber floating underwater and standing in front of a burning tire swing. 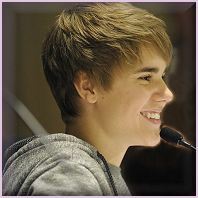 On Wednesday, Bieber reached out to his fans again, thanking them for their continued support of his new song. "U have all been working so hard 4 the #1 spot on BILLBOARD and so have I," Bieber tweeted. "We will get it! #BELIEVE - in the meantime THANK YOU! U R AMAZING." The 'Never Say Never' hitmaker - who is dating Selena Gomez - believes girls will go "crazy" for the 'What Makes You Beautiful' singers because they are "genuine good guys" and he's tipped them to be the biggest boy band in the world. He said: "The single guys from One Direction are going to have a lot of fun. "They look great, they sound great and, when you add their British accents into the mix, the American girls are going crazy for them. "Sure you need the talent, but you need to win over the American public, that's what it is all about. One Direction are genuine good guys. "The industry needs a fresh boy band, and by the end of this year they will be the biggest boy band in the world." Justin, 18, revealed he knows a big-name star who has the hots for One Direction's Harry Styles - who is in the group alongside Louis Tomlinson, Liam Payne, Niall Horan and Zayn Malik - but he has been "sworn to secrecy". He is quoted by the Daily Mirror newspaper as saying: "I already know one of the biggest artists in the world thinks Harry is so hot, but I have been sworn to secrecy." One Direction scored a number one with their debut album 'Up all Night' last month while touring in the country in support of Big Time Rush. The boy band will return to the country in December for their biggest headlining concert to date at New York's Madison Square Garden.